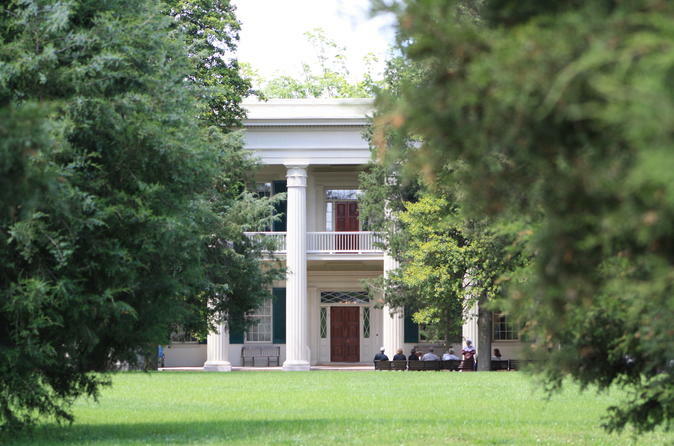 Visit The Hermitage in Nashville, TN to walk through Andrew Jackson’s life and home, explore a beautiful, vintage Tennessee farm and experience an important piece of Nashville and our nation. Rated the third best Presidential Site in the nation by USA TODAY, this is a must-see for any visitor to the Music City! There is no better time than the present to visit President Andrew Jackson’s Hermitage with Andrew Jackson: Born for a Storm the all new visitor experience and exhibit. On this tour you will have access to the grounds, mansion, exhibit gallery, and store. Experience an interpreter-led tour of the mansion. Have A self-guided audio tour of the gardens, grounds and other historic buildings. You will also experience a self-guided tour of over 1000 acres of farmland that used to be The Hermitage Plantation.